Enabling an eco-revival to keep Gurgaon vibrant. A sabbatical for Latika Thukral (then senior vice president at Citibank) to spend more time with her two sons made her realise that she did not want to go back to her fast-paced corporate career. The time off also led her to reflect on how Gurgaon was a much greener and liveable place when the family moved there 22 years ago. But with the rapid growth of the urban sprawl, living conditions had deteriorated fast. Thukral felt an urgent need to help restore the natural ecosystem and soon she started interacting with people who thought likewise. In 2008, she started Iamgurgaon with Ambika Agarwal and architect friend, Swanzal Kak Kapoor. "We started with just one focus - we need to leave a better place for our children," recalls Thukral. The trio visited the office of the Municipal Corporation of Gurgaon several times with suggestions of creating many more green spaces. 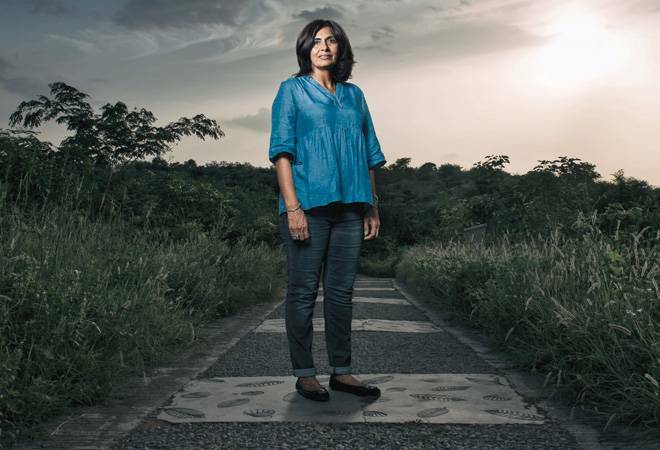 In-between those discussions the big idea came, and they decided to revive the stripped and barren Aravalli Biodiversity Park by planting a million trees. The urban forest spanning 380 acres is now home to 1.1 lakh saplings with a 95 per cent survival rate, she says. More than 65 companies had funded the project. The nine-people team is currently working on the eco-restoration of Wazirabad Bundh, a 5.2-km stretch of storm water reservoirs. Due to rapid urbanisation, the waterways and the embankments were used as dumping ground, but all that started to change. The American Express funded the first phase of restoration work - the first 1.5 kilometre of the bundh. "It took us a month or two to clean the sewer and 200 truckloads of plastic were taken out. The government also pitched in to help with its disposal," says Thukral. The embankments along that one-kilometre stretch have been converted into an urban forest and got a further facelift with the laying of pavements and cycling, walking and jogging tracks. Other sponsors are NTT Data, Fidelity, Indigo and AT&T. When finished, the project is expected to replenish the city's groundwater level. The organisation also enables students and institutions to participate in cleaning and planting drives, nature walks and leaf composting so that it becomes a citizens' movement and everyone can take part. "This is our legacy for the city," says Thukral.